Lupus is a chronic, autoimmune disease that causes inflammation of various parts of the body, especially the skin, joints, blood, and kidneys. 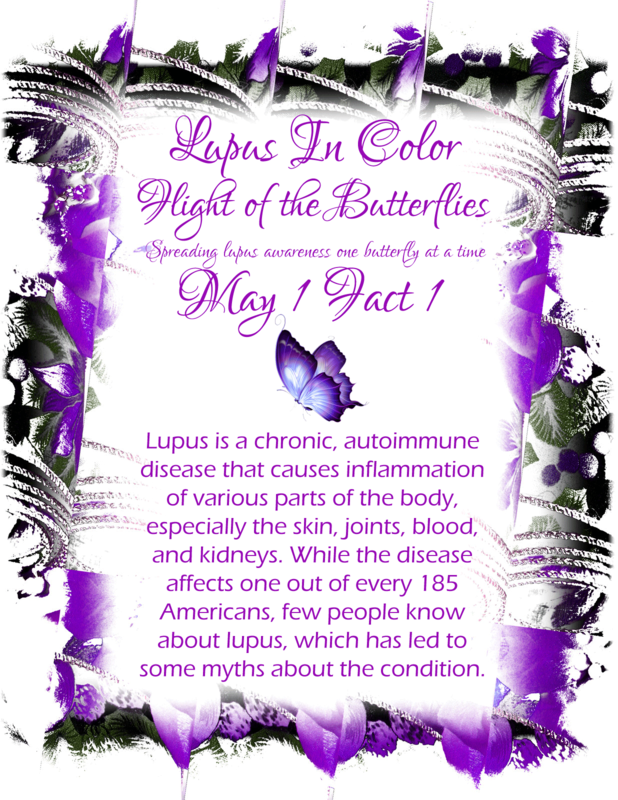 While the disease affects one out of every 185 Americans, few people know about lupus, which has led to some myths about the condition. This is your first butterfly of hope. We need awareness and a cure!